Most business analysts unequivocally point to the housing crisis as the precipitator of this current economic downturn. According to CNN Money, in 2010, 2.9 million foreclosure notices were filed and more than 1 million people lost their homes to foreclosure. If you are experiencing an economic hardship due to a job loss, disability, unexpected medical expenses, etc., you do not have to be in this number, there are options available to you. If you have received your Notice of Default letter, detailing the lender's intent to sell your property if you do not make your mortgage payments or if you are depleting most of your income, savings, and surplus funds in order to keep a home that is 'underwater', meaning you owe more on the house than what it is actually worth, you have options, chief among them is short-selling. Of course, this is not a desirable position to be in, but as opposed to going through a foreclosure or being an underwater homeowner, petitioning your bank, for a real estate short sale is perhaps the best option for you in light of your present circumstances. It is a proactive solution in what would be otherwise regarded as an abysmal reality. 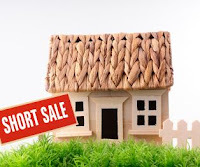 A real estate short sale is basically an agreement between the homeowner (borrower) and the mortgage lender to accept a price that is less than what they owe on their mortgage; in this agreement the property is re-listed and sold at a reduced price (less than the balance due on the loan) and the proceeds are paid to the lender. The remaining balance owed to the bank is called a deficiency and it may or may not be forgiven. A real estate short sale can be beneficial to both the homeowner and the bank because they both have the opportunity to mitigate their losses in some way. Be advised that you cannot just appeal to the bank and expect to be let out of your mortgage; the process is generally similar to what you went through when you first applied for your mortgage. You must apply for a short sale through the bank's loss mitigation department and will need to provide proof to the lender that you are in fact experiencing a financial hardship and/or you are upside down on your loan. In order to get started with the short sale process there are first preliminary items that have to be completed. First, you may need to speak with a tax advisor to determine if their will be any tax repercussions to short-selling your home, because the IRS may consider the deficiency income you would need to pay taxes on. Second, you will need to contact a real estate agent in order to get the ball rolling on selling your home. It’s important to find a qualified real estate agent experienced in real estate short sales, as the process is complex and tedious at times, and you need a professional that can help you navigate the process. Next, once you receive an acceptable offer from a buyer, prepare a submission packet for the bank. Contact your bank for specific instructions (usually the loss mitigation department), but in general what is included in this packet should be the buyer’s offer, a hardship letter (be detailed in this letter and carefully express to the lender the reasons you are experiencing financial hardship and that you are facing foreclosure and/or upside down), authorization to release loan information, listing contract agreement, two (2) year tax returns, W-2, bank statements from the past two (2) months, personal financial statement. You will want to confirm receipt of these documents. At this point, there may be periods of waiting and negotiating, as the bank determines if they agree or disagree with your real estate agent’s valuation. Be prepared to defend your calculations with solid evidence. Also, the bank may have additional questions to ask you about your financial situation, so be forthcoming. Your real estate agent should have set the expectations for the buyer that the property is a short sale and so they realize it make take thirty days to three months (on average) for the bank to approve the deal. Once you get an approval, closing typically happens very quickly, within 30 days. Again, real estate short-selling can appear at the outset very laborious and time-intensive but in contrast to the alternatives (foreclosure and the detrimental hit to your credit rating), this is option can be of a great benefit to homeowners who need to get out of a less than desirable situation. Tracey Louis is a licensed real estate agent that has actively invested in real estate investments for a number of years, and enjoys tracking and writing about market conditions.